If his costume has pockets, then why does he need a utility belt? 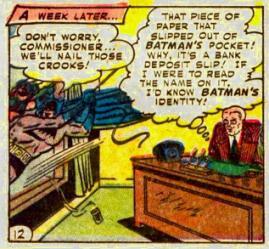 Why on earth would he be swinging around with a bank deposit slip as Batman in the first place? Some Guy Takes a Chair to the Throat.